There is a first time for everything, including the first time your beloved family pet bites someone. If you’re very fortunate, the damage won’t be severe, but once a dog bites someone it’s never fully trusted again by others. If the damage is serious, you may be forced to surrender your dog or have it put down. This kind of heartache can be avoided if you know how to prevent dog bites in the first place. It’s a complex issue and are actually two separate issues: preventing your dog from biting, and protecting your family from dog bites from unfamiliar dogs. While the primary responsibility lies with dog owners, everyone should teach their children how to avoid getting bitten. Raise your voice. You don’t need to shout, but be loud enough that it will get your dog’s attention. Each time your puppy bites you, even playfully, sternly saying “Ouch!” will let him know that he needs to stop. Reward your puppy whenever he stops biting by playing with him or giving him a few minutes of your undivided attention. If you’re playing with your puppy when he bites you, stop playing. Let him know that the fun stops when the biting starts. If your puppy is in the chewing on everything phase, simply substitute a toy or old slipper for him to chew on any time he bites you. He’ll quickly learn that chewing a person is off-limits, but chewing his toys is acceptable. If you adopt an adult dog who still bites, it can be more difficult to prevent dog bites because adults are already set in their ways. It will require lots of consistency on your part to extinguish biting behavior. Consistency is even more important with adult dogs; you need to let them know that even playful nips are unacceptable every time it happens. Consider curbing rough-and-tumble play with your dog until he truly understands that even playful biting is not allowed. Even playfully wrestling with your dog can lead to him biting. It can be very confusing for your dog if you discipline him for biting, then start rolling around on the floor with him. Animal instinct will tell him that since it’s play time, he can nip at you as though you are another dog. Don’t let that happen. Proper training, love and consistent discipline (not punishment!) can help you prevent dog bites by your pet. It’s an act of love to make sure that your dog never injures another animal or person. You’ll breathe easier knowing that he understands that biting is never acceptable. 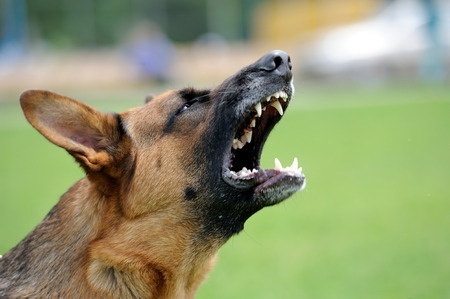 In Part II of “How to Prevent Dog Bites,” we’ll talk about how to prevent dog bites when you or your family members are around unfamiliar dogs.